On October, 7th, Pennsylvania Athletic Trainers’ Society (PATS) President John Moyer and Eastern Athletic Trainer’s Association (EATA) President-Elect Greg Janik attended the Rehabilitation and Community Providers Association (RCPA) Conference at Seven Springs Mountain Resort to make a presentation on proper management and care of concussions and the role of the athletic trainer in creating an effective concussion management plan. The RCPA is a diverse group representing providers of health and human services committed to effective, efficient, and high quality care. For their youth sports concussion education initiative, PATS will utilize their trained ConcussionWise™ Instructors (CWI) from across the Commonwealth to increase the concussion knowledge in the athletic community. 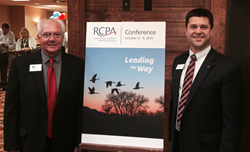 The 2015 Rehabilitation and Community Providers (RCPA) conference was held October 6-9th at Seven Springs Mountain Resort in Champion, PA. The theme – Leading the Way – focused on helping members drive policy and service delivery to the next level in Pennsylvania. 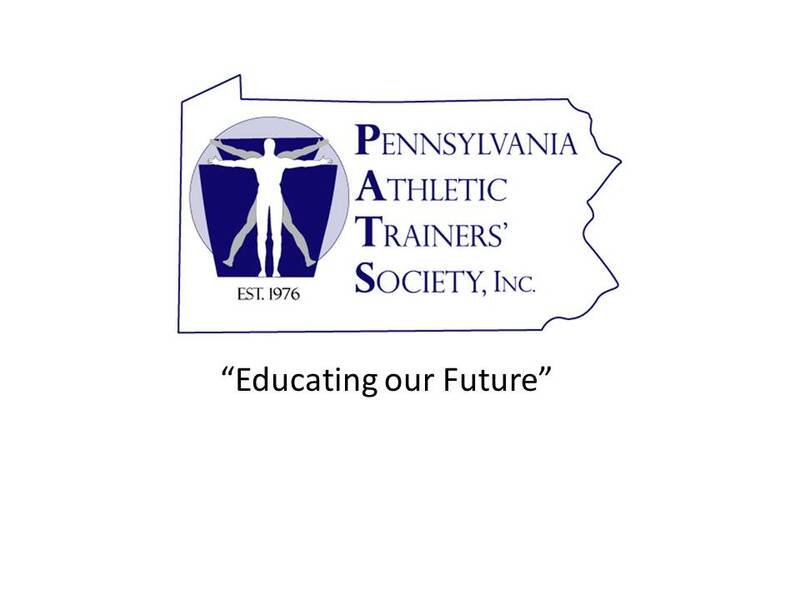 The Pennsylvania Athletic Trainers’ Society (PATS) were invited guests and presented, “The Crisis with Youth Sport-Related Concussions – Who’s Taking Care of our Children? PATS President, John Moyer, and Eastern Athletic Trainer’s Association (EATA) President-Elect, Greg Janik, presented a workshop on proper management and care of concussions and the role of the athletic trainer in creating an effective concussion management plan. "The RCPA Conference was a great opportunity for PATS to introduce a diverse group of health care providers to the proper care and management of concussions as well as introducing these providers to the diversified skill set of athletic trainers,” stated President Moyer. The National Institute of Health reports that each year, more than 38 million children participate in sports in the United States and more than 3.5 million children ages 14 and under are treated for sports injuries. Further, emergency department visits for concussions sustained during organized sports doubled among 8-13 year olds between 1997 and 2007 and nearly tripled among older youth. The emphasis of the presentation was to define a sports-related concussion, how to manage them, and what can occur if returning too soon. Further, discussion included the implications of the Safety in Youth Sports Act (PA’s concussion law) and its future needs, provide information in regards to concussion education programs available to the public, as well as describe who are the appropriate medical professionals trained in evaluation and management of concussions and how you can recognize them. In 2011, Pennsylvania adopted the Safety in Youth Sports Act which established standards for managing concussions. Currently the Pennsylvania Interscholastic Athletic Association (PIAA) lists 758 secondary schools that require education for coaches through the Safety in Youth Sports Act. Further, nearly 90% of these schools have appropriate medical professionals trained in evaluation and management of concussions available through access to athletic trainers. However, there are shortfalls as there are pockets of sports untouched by this law occurring at the youth level (e.g. youth soccer and Pop Warner football) and further have little to no access to appropriate medical professionals. PATS additionally provided the attendees information in regards to a grant they received from the Pennsylvania Department of Health (DOH) on traumatic brain injury (TBI) education. The overarching goal of the grant program is to address barriers to needed services encountered by children, youth and adults with TBI. PATS is utilizing the grant to focus education to physicians and all stakeholders of youth sports.